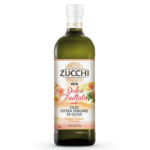 Home / Ricetta / Piedmont “Fassona” beef marinated in Zucchi Dolce Fruttato extra virgin olive oil. Piedmont “Fassona” beef marinated in Zucchi Dolce Fruttato extra virgin olive oil. 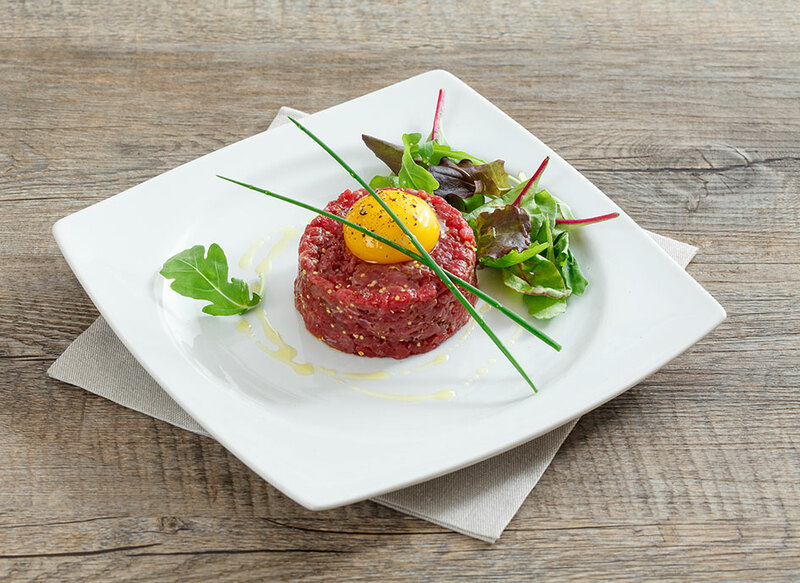 Straight from the Langhe district of Piedmont, a tartare made from one of Italy's choicest meats, to be savoured with just a few other ingredients to enjoy its full flavour. Cut the meat up with a knife so that it is separated but does not leak its juices. Cut it first into thin slices, then into strips and finally into very small pieces. Remove any fat residues and transfer the meat to a bowl. Add a touch of salt and a dash of pepper and flavour with the mustard and lemon juice. Dress with a generous dribble of oil and mix thoroughly. Cover with cling film and leave to marinate in the refrigerator for at least 10 minutes. With the aid of a dough cutter, arrange the meat in the serving dishes. Separate the egg yolks from the whites and place the yolks on top of the tartare steaks. Dress with a dribble of oil, a dash of pepper and two chives. Serve, accompanied by the mixed green salad.